Happy St. Paddy’s day all my Irish friends (and anyone else that decides to wear green or add a “Mc” or “O'” to their name today). 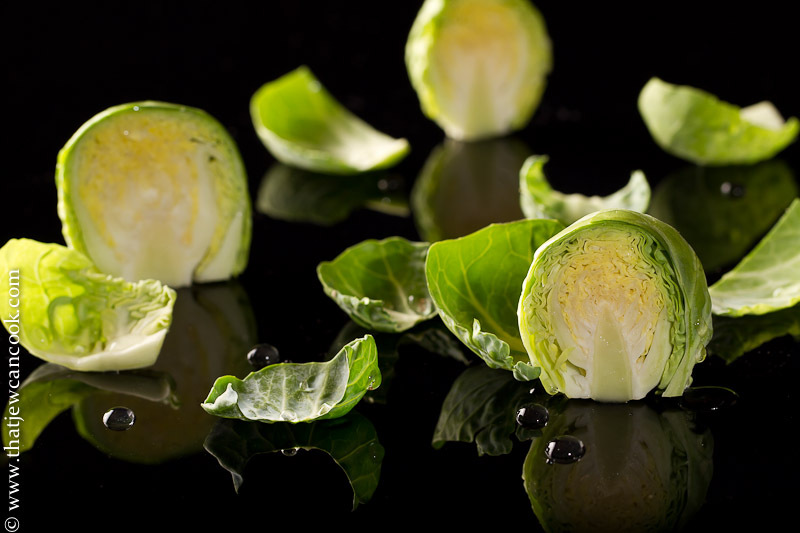 While most people think cabbage ain’t good for much, at least today the cabbage gets to be in the spotlight as best supporting veggie. Cabbie’s baby cousin the brussel* gets so little respect I thought I’d gussy some up for some proper roasting. So today enjoy your cabbage, but soon give the ole brussel a spin. Just half them, toss in olive oil, and bang them onto a cookie sheet with a little salt and pepper. Roast them until they are nice and brown and you are good to go. Wanna add bacon or pancetta, who am I to stop you? Notice I didn’t write “roasted to perfection” anywhere? It’s not a weekend unless I am complaining about something, so dear reader let me get a rant off my chest. “Cooked to Perfection”? Everytime I see that phrase on a restaurant menu I want to hurl. So what they are saying is that one dish of shrimp or whatever the hell they are so freakin’ proud of is “cooked to perfection”? What about everything else? Do they just slap that crap together? “Cooked to perfection”. Humpf. OK, gotta run, I have an O’tini (ugh) with my name written all over it. That should help get me “drunk to perfection”. *I don’t really know if the cabbage and brussel are related scientifically. Don’t believe everything you read online, kids. The last I checked, I didn’t have a botany degree and I’m too lazy to ask the googlemeister. Brussel Sprouts are one of the most under appreciated vegetables, I love them. I do have a recipe that you might enjoy where they are sauteed and finished with chicken broth. I will send it your way. I wanted to also let you know that I celebrated a weekend dinner with your “Spinach Pie” Truly was well worth making and everyone enjoyed it. The fresh dill showcased all of the flavors and was perfect for Spring. Glad you enjoyed the spinach pie — it really is a great foundation that takes to mods well, I’ve been making it with a little feta lately..I like that you made it with puff pastry, that is a nice change too.